You’ve made the decision to buy a home, you’ve saved for a down payment, and you’ve been pre-approved by First Option for a mortgage. So what do you do next? What does the approval process look like? Have no fear! Here’s our guide to getting approved for your next big step and getting into your new home. After you’ve been pre-approved, you’ll have information about your price range for home-buying options and potential interest rate information. All of this information is preliminary and can be subject to changes once a mortgage company gets a chance to evaluate your income and assets. Now, take that information and find a real estate agent! If you don’t know where to start, talk to your loan officer, or check out our handy guide on selecting a real-estate agent. This is the really fun part. Get out there and find a great house that’s exactly what you’re looking for! And be sure to check out our summer home buying guide for more details on how to find the right spot. So you’ve found a great home, and you’re ready to make an offer. Here’s where a realtor can come in very handy. It’s difficult to gauge the housing market yourself. And because a home is probably one of the largest investments you’ll make in your lifetime, having an expert on your side is a good idea. Debt-to-income (DTI) ratio: Your DTI is the relationship of your monthly income to all your various debt liabilities like loans and other debt. Credit: Usually a credit check is run to see your potential credit line liability, as well as how many lines of credit you have open. Mortgage type: There are many different types of mortgages, and picking the right one is another decision in and of itself. Once your loan has been reviewed and cleared to close by an underwriter, you will receive a closing packet. One of the most important documents that you must receive three business days before your scheduled closing is the Closing Disclosure. This document will include details of your loan, including term, purpose, loan type, interest rate and monthly payment. Your loan officer should review this disclosure with you for completeness and accuracy. As long as there are no major changes, your closing date will not be affected. You will typically set up your wire transfer for your funds to close at this point. For the day of closing, you are required to bring your driver’s license or some form of proof of ID. We also suggest bringing a copy of the Closing Disclosure you reviewed earlier so you can compare it to the final documents one more time. Take all the time you need as the attorney or notary goes through the closing packet with you. You have the right to read and understand all of your documents, no matter how long it takes! 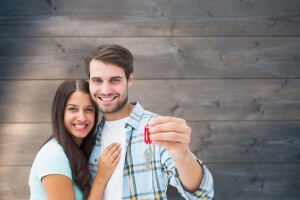 The hard work is over with and now you can enjoy being a new homeowner! We suggest saving your closing packet in a secure, safe place as you move your belongings into your new home. Take a deep breath, because that was a lot of information. We’re here to service all of your loan needs from beginning to end. If you have more questions about the mortgage approval process, let us know on Twitter or Facebook, or send us a message on our quick response form. Happy house hunting!